- Robinson, S singled to shortstop (2-2 KBFB). - Yue, X reached on a throwing error by c, SAC, bunt (0-0); Robinson, S advanced to third. - Peterson, A lined into double play 3b unassisted (1-0 B); Robinson, S out on the play. - Rhodes, J grounded out to p (2-2 BFBF). - Qi, L tripled down the rf line (0-0). - Draper, V grounded out to 2b (0-1 K). - Jia, C grounded out to c (1-1 BS). - Kailin, X flied out to cf (0-0). - Yao, L struck out looking (0-2 KSK). - Miller, C walked (3-1 BBBKB). - Fei Fei, L hit into double play p to 1b to ss (0-1 F); Miller, C advanced to second, out on the play. - Huan, L struck out swinging (1-2 KKBS). - Min, R singled to left field (0-1 F). - Mengmeng, L flied out to cf (0-2 FF). - Jia, X grounded out to p (1-2 KKFB). - Xinyue, J struck out swinging (0-2 KFS). - ZiXuan, D struck out swinging (1-2 FBFS). - Robinson, S struck out swinging (1-2 KFBFS). - Li Li, L singled to catcher, bunt (0-1 K). - Qi, L out at first p to 2b, SAC, bunt (0-0); Li Li, L advanced to second. - Draper, V doubled to left field, RBI (0-0); Li Li, L scored. - Jia, C grounded out to p (0-1 F); Draper, V advanced to third. - Kailin, X reached on a fielder's choice to pitcher, RBI (2-1 KBB); Draper, V scored. - Huan, L struck out looking (3-2 BBFBFK). - Yue, X grounded out to ss (0-0). - Peterson, A struck out swinging (3-2 BFBFBS). - Rhodes, J doubled to right field, ground-rule (0-0). - Yao, L struck out swinging (0-2 FSS). - Huaining, Y to lf for ZiXuan, D.
- Min, R singled through the left side (1-2 BFKFF). - Mengmeng, L flied out to lf (3-0 BBB). - Jia, X grounded out to p, SAC, bunt (2-1 BFB); Min, R advanced to second. - Li Li, L reached on a fielding error by 1b (2-1 BSB); Min, R scored, unearned. - Li Li, L stole second. - Qi, L struck out swinging (3-2 KBBKBFS). - Yining, L to lf for Qi, L.
- Draper, V to rf. - Mengyan, W to c for Min, R.
- Qianwen, X to 3b for Mengmeng, L.
- Miller, C singled to right field (1-1 BF). - Fei Fei, L fouled out to 3b (3-2 SBBBF). - Xinyue, J singled through the left side (0-2 KFF); Miller, C advanced to second. - Huaining, Y grounded out to ss (0-0); Xinyue, J advanced to second; Miller, C advanced to third. - Robinson, S homered down the lf line, 3 RBI (1-1 FB); Xinyue, J scored; Miller, C scored. - Yue, X grounded out to ss (3-2 BBKFFB). - Peterson, A to rf. - Siyu, Y to c for Yao, L.
- Miller, C to dh. - Yan, W to p for Aucoin, G.
- Draper, V singled to left field (3-1 BBBK). - Jia, C out at first 3b to 2b, SAC, bunt (1-1 BF); Draper, V advanced to second. - Kailin, X singled to shortstop, RBI (0-1 K); Draper, V scored. - Huiqi, Y pinch ran for Kailin, X. - Huan, L walked (3-2 BBKBKB); Huiqi, Y advanced to second. 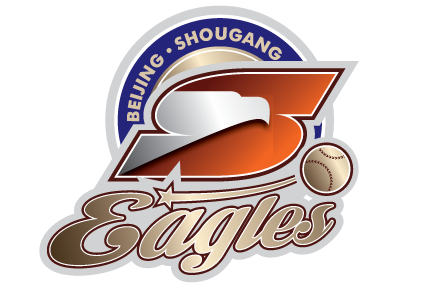 - Peterson, A to c.
- Rupp, R to p for Yan, W.
- Mengyan, W out at first 3b to 2b, SAC, bunt (2-0 BB); Huan, L advanced to second; Huiqi, Y advanced to third. - Qianwen, X flied out to cf (2-2 FBKBF). - Peterson, A singled up the middle (0-0). - Rhodes, J reached on a fielder's choice to third base (0-2 FF); Peterson, A out at second 3b to 2b. - Yao, L singled to shortstop, bunt (0-1 K); Rhodes, J advanced to second. - Miller, C walked (3-2 KFBBBFB); Yao, L advanced to second; Rhodes, J advanced to third. - Miller, C advanced to second on a wild pitch; Yao, L advanced to third; Rhodes, J scored. - Fei Fei, L flied out to lf (1-1 BS). - Xinyue, J struck out swinging (1-2 KSBS). - Jia, X flied out to lf (2-2 KBBK). - Li Li, L grounded out to 3b (0-2 KF). 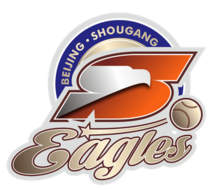 - Yining, L struck out swinging (0-2 KFS). - Kailin, X to dh for Huiqi, Y. - Huaining, Y singled to left field (2-1 BFB). - Yue, X tripled down the lf line, RBI (2-2 KBFBF); Huaining, Y scored. - Peterson, A intentionally walked (3-0 BBBB). - Peterson, A stole second. - Rhodes, J intentionally walked (3-0 BBBB). - Yao, L struck out swinging (1-2 KBFS). - Miller, C struck out looking (2-2 BKSBK). - Draper, V grounded out to ss (0-0). - Jia, C struck out looking (2-2 KBBFFK). - Kailin, X popped up to ss (1-0 B).